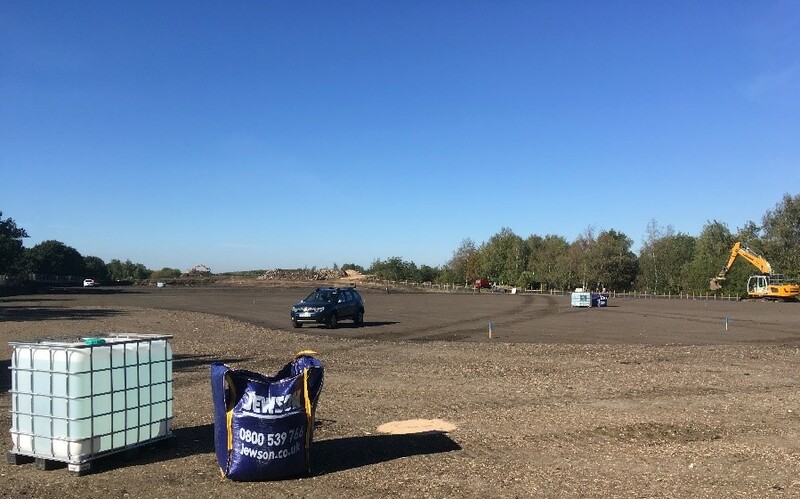 The site was a former sand and gravel extraction pit which was subsequently infilled with spent foundry sand from the former George Fisher Foundry (Lincoln Castings) situated nearby. As such, the site was made up of variable, potentially contaminated, unknown ground conditions. Stirlin instructed Delta-Simons to undertake geotechnical and environmental investigation as well as ecology assessments across the site to support the Planning Application to take through to final verification stage. Delta-Simons has previously undertaken Preliminary Risk Assessments, site investigation, ecology desktop assessments, bat surveys, lizard translocation surveys, Japanese Knotweed treatment supervision, infiltration testing to BRE365 methodology and CBR testing. All of which were required to discharge associated Planning Conditions and prepare the Site for design and construction of the office and commercial units. A potential issue was the need to distinguish between spent foundry sand (made ground) and the natural sand and gravel geology. The interpretation could potentially change any proposed foundation recommendations and associated costs for Stirlin, in addition to determining the drainage strategy for the site. The majority of investigations were undertaken prior to the site levels being re-modelled and creating a suitable development platform, as such, following the earthworks programme additional investigation was required on a plot by plot basis to confirm the geotechnical and environmental conditions of the underlying soils. 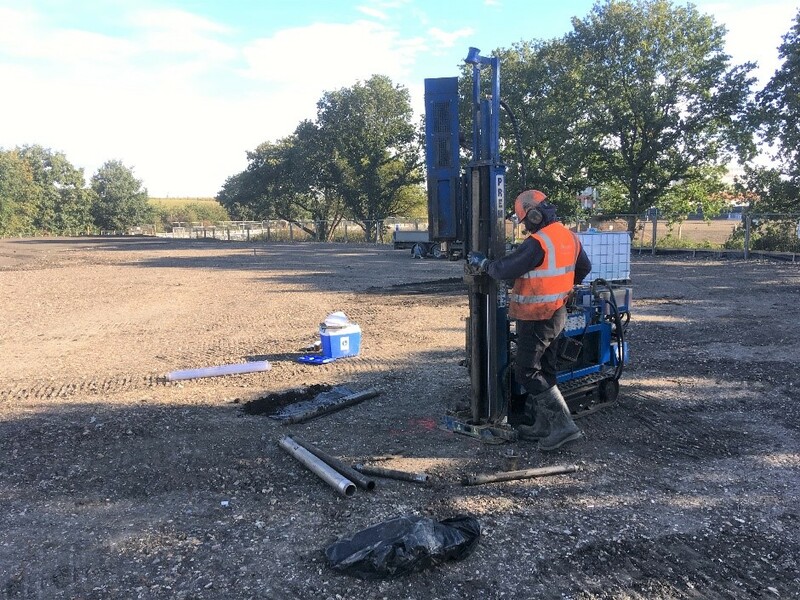 Delta-Simons most recent works on the site include undertaking site investigation for Plots known as E to H and K to M.
A total of 12 dynamic sampling boreholes were advanced beneath each plot with associated soil logging and sampling. Dynamic sampling is a cost-effective way of retrieving geotechnical samples using track-mounted percussive samplers or hand-held equipment. 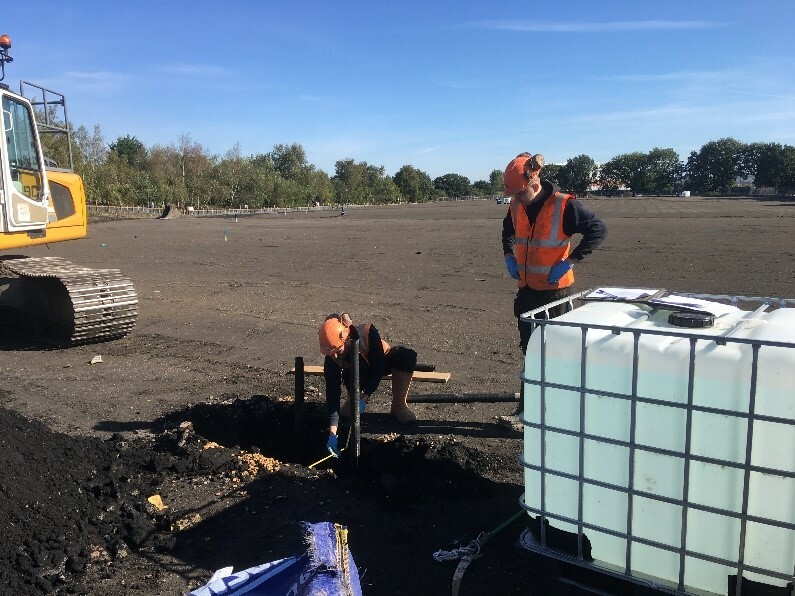 The site investigation also included standard penetration tests (SPTs), a procedure to test geotechnical competency and strength of the strata, and BRE365 infiltration tests to monitor soakage potential within the site’s foundry sand. The resulting investigation provided a comprehensive interpretation of Leafbridge’s geotechnical ground conditions in respect to the extent and depth of foundry sand and made ground, and at what depth natural ground can be encountered, providing information for suitable foundation design. In respect to soil and groundwater contamination, Delta-Simons provided an interpretation of where likely contamination would be encountered and, if detected, assessed the potential risks to future human health and wider identified receptors. Paul Bennett, Delta-Simons Unit Director for the Midlands region said “We’ve been partnering with Stirlin Developments for many years now, and to be involved with their largest development was not only exciting but also a high profile project in the local area. Being able to offer Stirlin technical support and consultancy advice for this project has helped to strengthen our relationship and we are now working on a number of other exciting developments with the Stirlin team. Paul Wheatley, Senior Project Manager at Stirlin Developments and lead for the Leafbridge project said, “Quite simply, we could not have made the progress we have achieved at Leafbridge without the support of Delta-Simons. They were a fundamental part of the team in the process that delivered us a planning consent for the site and have provided ongoing support through the discharge of planning conditions and detailed design activities.